Our Choral Requiem Mass took place at 9.45am on Remembrance Sunday November 11th 2018 (below), followed by a procession to the Bedford Park Memorial Seat outside St Michael & All Angels Parish Hall for the two minutes silence. More than 350 people attended – see Gallery of pictures. The Armistice Day sermon was given by Professor Graham Holderness. At 6.30pm, there was a Remembrance Sunday Evensong, a reflective service with music, readings and poetry. 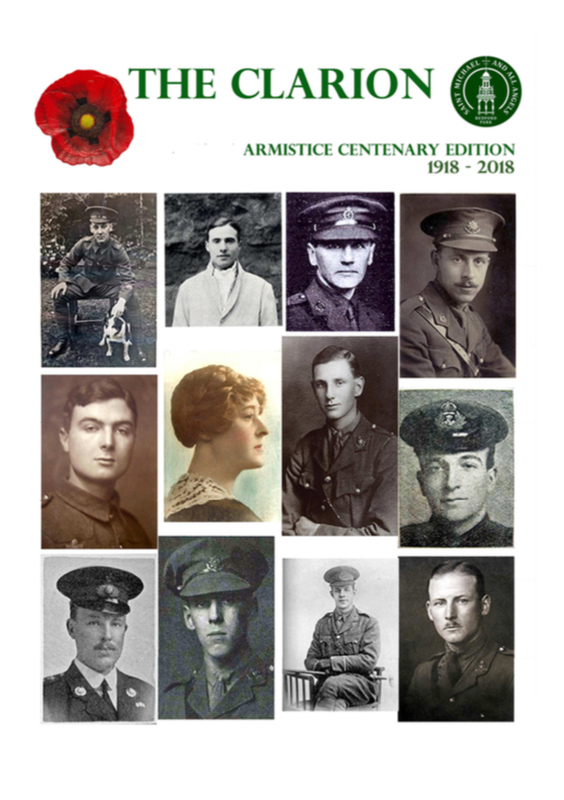 You can now read the Clarion – Armistice Centenary Edition – 1918 – 2018 here online. 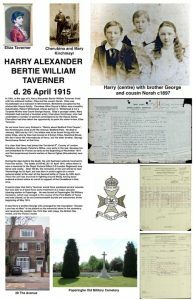 The Clarion has a foreword from the Vicar, Father Kevin Morris, and articles on the history of Bedford Park relating to the war memorials; items from the St Michael’s magazine from 1915-1918 about those from the Parish involved in the war; Violet Long OBE, her sister Florence Leach and the Women’s Army Auxiliary Corps (WAAC); the 11 families who lost more than one son; Lieutenant Colonel George Fulton DSO, a relative of Jonathan Carr, the founder of Bedford Park; and the war in the air, which claimed the lives of three of those on our war memorials. Once again there is an exhibition in the church about people from our community who fell in the war 100 years ago – it opened on Friday November 9th and will close on Friday November 30th 2018. 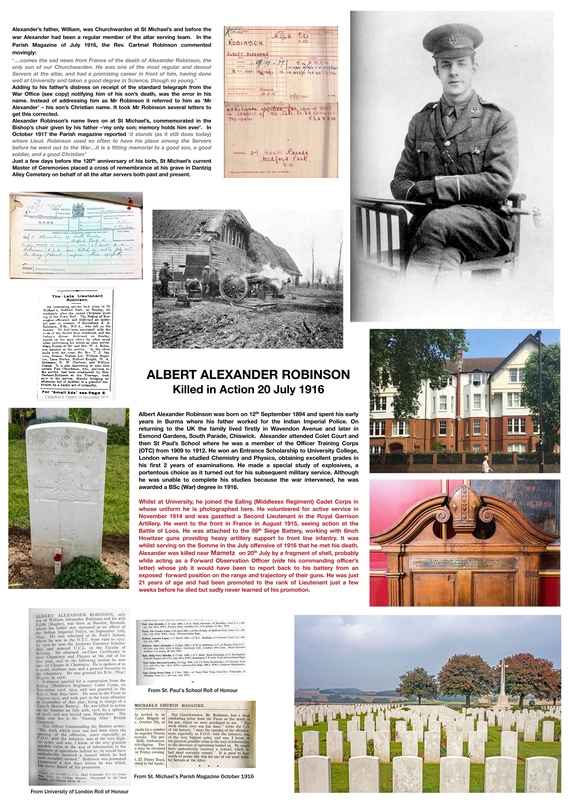 You can see many more details and pictures of 128 people named on our war memorials on our World War 1 Project website. They are listed there by name with their stories and images, and on this website, year by year and road by road. There is also a display of more than 500 poppies knitted by the congregation, on the Parish Memorial (below left) and ten soldier silhouettes awarded under the There But Not There programme. 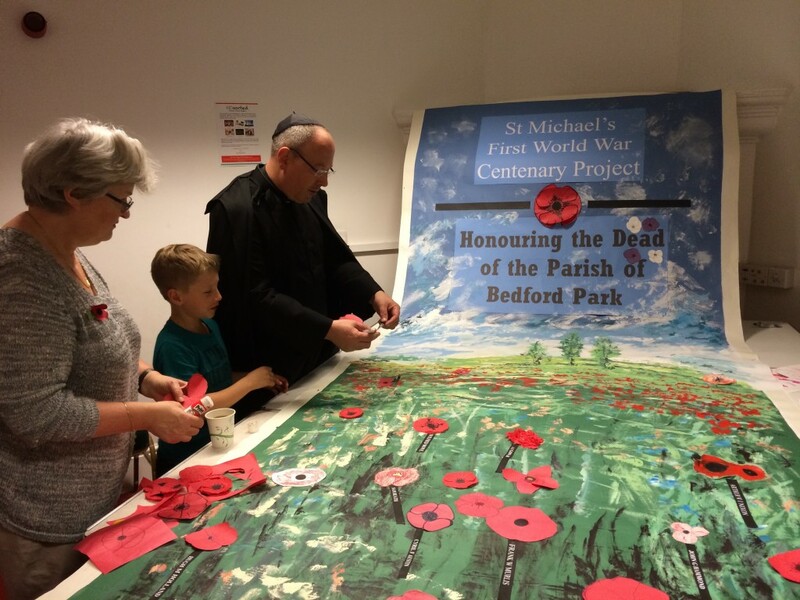 Since 2014, we have been remembering the fallen from World War 1 in various ways (see pictures above), including a banner of home-made poppies (right), displaying the names of those from St Michael’s and Bedford Park commemorated on our war memorials. 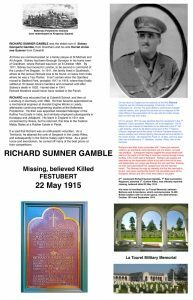 Scroll down to read more about our Lottery-funded project to remember them. The final picture above shows ceramic poppies from the 2014 display at the Tower of London, a number of which have been bought by St Michael & All Angels. 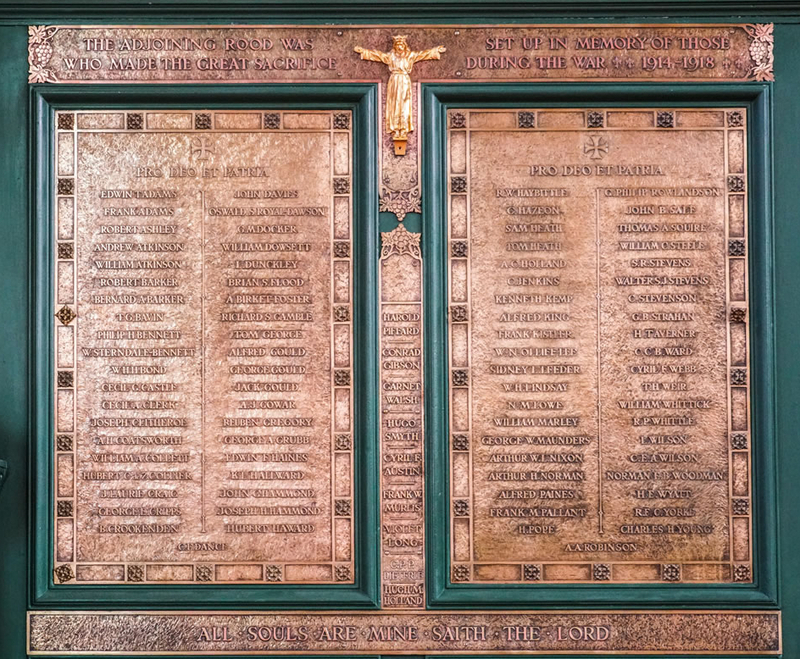 In 2014 St. Michael’s embarked on a project to identify and study the lives of the individuals whose names appear on the various war memorials associated with the church, including our Parish Memorial – The Holy Rood in Memory of those Fallen in the War (left) and the Bedford Park Memorial Seat outside St Michael & All Angels Parish Hall. 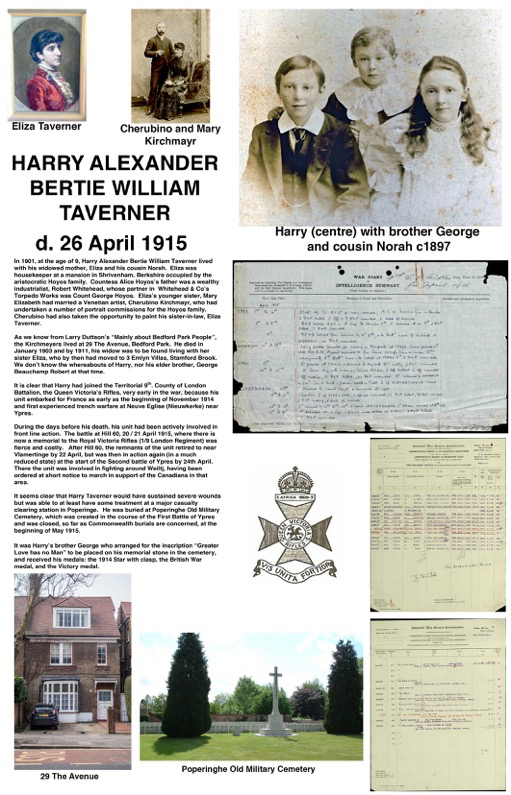 From the 128 names inscribed on the war memorials at St Michael and All Angels Church, Bedford Park, David Beresford, a member of the congregation, has researched as many individuals as can be identified from existing public records. 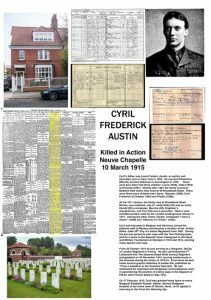 With support from the Heritage Lottery Fund, and using original parish documents, contemporaneous news items, national databases and other archives, David has tried to piece together the stories behind their names, learn how their war was fought and how their families and the community were affected. 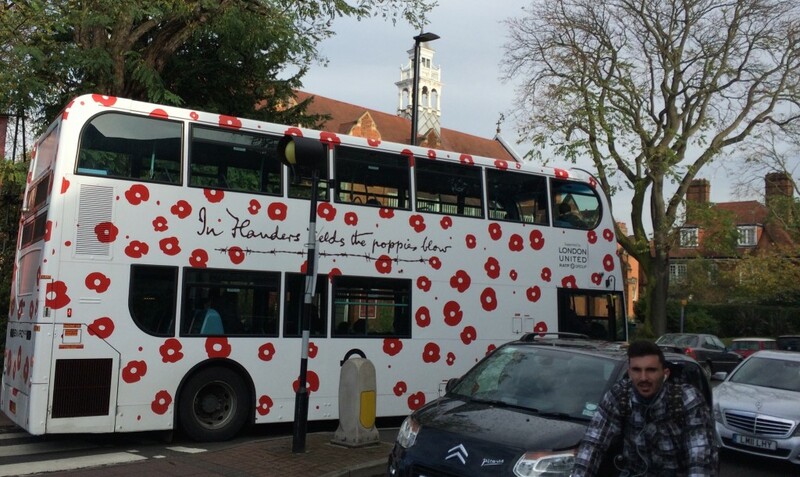 The WW1 website was launched in 2017 and David Beresford was interviewed about it on Chiswickbuzz.net. 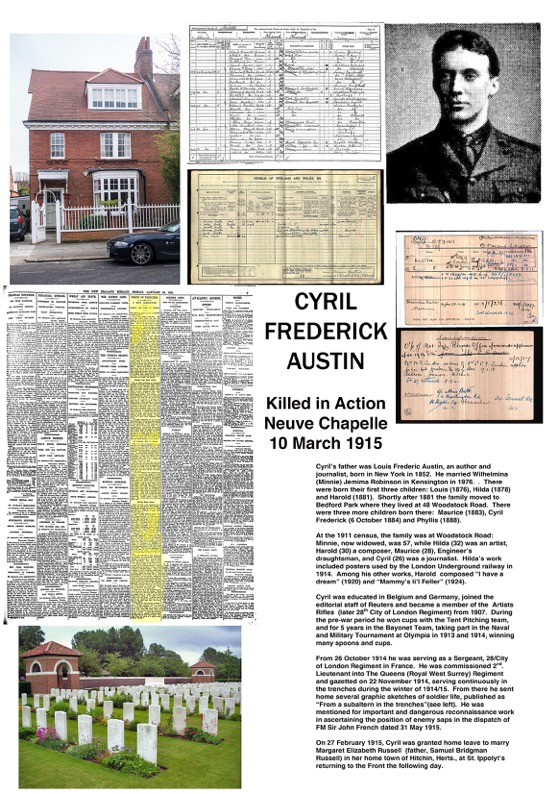 By recreating the personal stories and developing education presentations, we want to show children and adults alike some of the human impact of WWI on a local Chiswick parish. 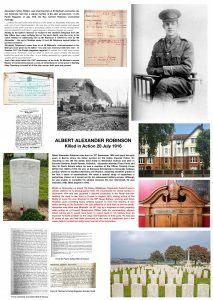 Children will be able to gain an understanding of the war’s reality for local people and gain some knowledge about how to research stories of their own starting only with a name on a memorial. 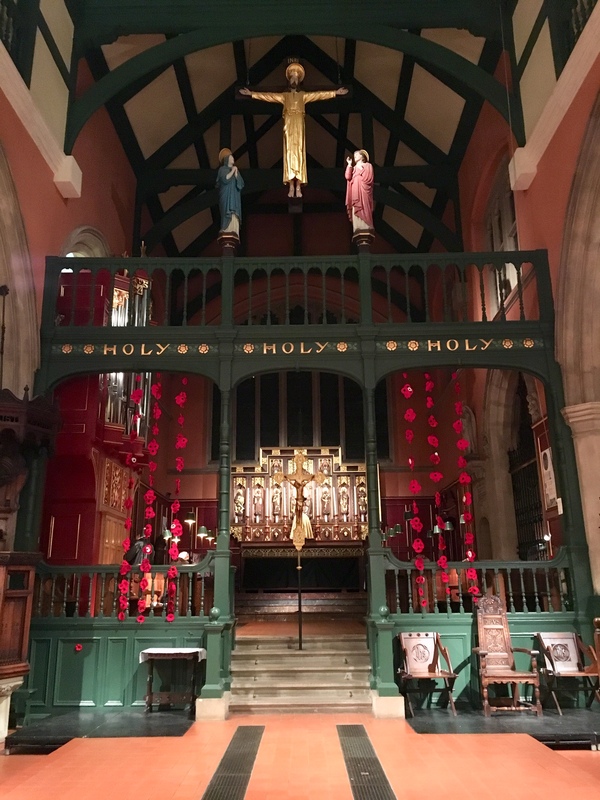 Note: There is another church in Chiswick called St Michael’s. St Michael’s Church Sutton Court in Elmwood Rood researched the 33 men named on its own war memorial, through its Lottery-funded Heroes of Chiswick scheme.